Applying to study at Monash is easy. Let's start by pointing you in the right direction. Future students fit into one of these categories. You want to study a coursework degree at an undergraduate level. You want to study a coursework degree as an undergraduate and you're studying Year 12 or the International Baccalaureate in Australia. 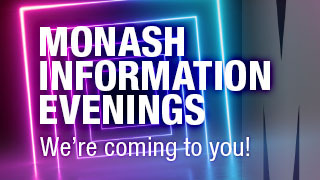 You want to study an undergraduate degree or a Monash College Diploma at one of Monash's Australia-based campuses. 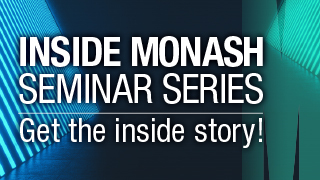 You are in your final semester of the Monash University Foundation Year program in Australia or offshore. You want to study a coursework degree at a postgraduate level. You want to study a research degree – a master's by research, doctorate (PhD), or professional doctorate. 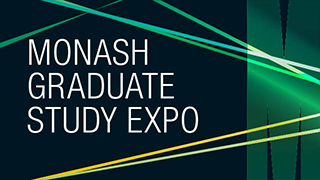 You want to come to Monash via international exchange with your home university. When your application is received, Monash University will assess your application against university entrance requirements including: minimum age, English and academic entry requirements. Monash University is obliged to check that you are genuinely seeking temporary entry to Australia to study. If the University forms the opinion that you are not a Genuine Temporary Entrant (GTE) it may refuse to assess your application, withdraw an offer of a place, or cancel your confirmation of enrolment. In some cases applicants will be referred to their closest Monash registered agent to proceed with their university application and to assist with the GTE assessment and visa arrangements. Contact us to get help with your application and answers to your questions.